“There’s no more behind the scenes,” said a colleague as we discussed 360 video. The camera operator can’t hide behind the camera, but has to retreat some distance away, unless they are content to be part of the act. 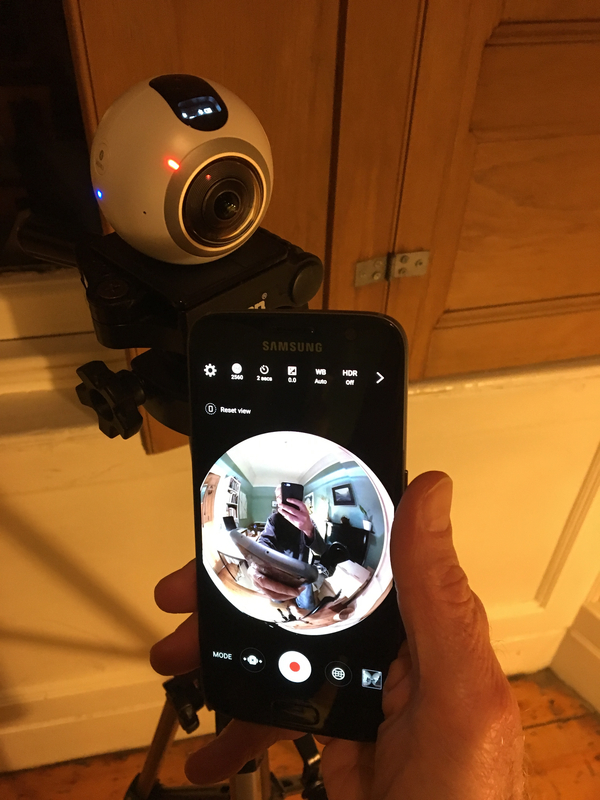 That explains why 360 camera operatives need to control the 360 camera with a hand-held smartphone that shows what the camera sees. The ensemble provides a strange disconnect between the hand, eye, voice and location. It’s yet another example of new ways of seeing (homage to John Berger who died this month). Here’s some evidence from my own foray into the medium. If you use a Chrome Browser then the first three pictures should appear as 360 videos that you can pan across. The fourth is a replay of a 360 video on the Samsung app that was remotely tethered to the 360 camera. The fifth image is of the camera and remote control smartphone.